Adler, David A. 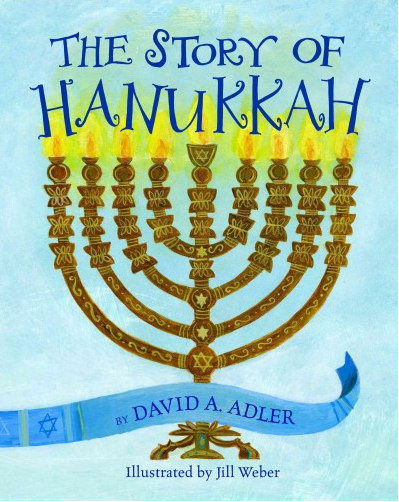 The Story of Hanukah. New York: Holiday House, 2011. A straight-forward informative writing style by an award-winning author. Sophisticated full-page coloured illustrations by Jill Weber. 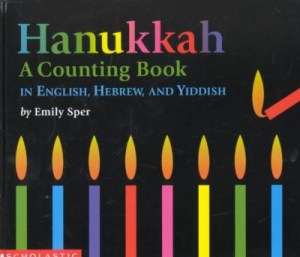 Includes a recipe for latkes and directions for playing driedel. 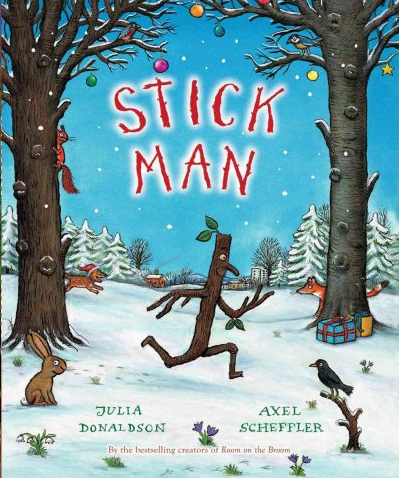 Highly recommended for readers 8-years-old and up. Aloian, Molly. Hanukkah New York: Crabtree Pub., 2009. An informative addition to the ‘Celebrations in My World’ series. Large print, colour photographs, a glossary, and an index combine to create a useful resource for readers 7 to 14-years-old. Baum, Maxie. I Have a Little Dreidel. New York: Scholastic, 2006. “An illustrated retelling of the classic Hannukah song, with directions for playing the dreidel game and a recipe for making latkes.” – CIP. 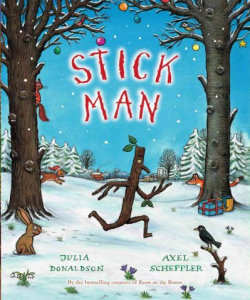 Colourful illustrations and rhyming text combine in this cheerful picture book for listeners 5 to 8-years-old. Bodden, Valerie. 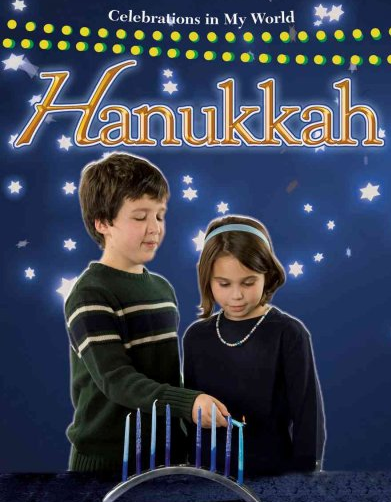 Hanukkah. Mankato, Minn.: Creative Education, 2006. 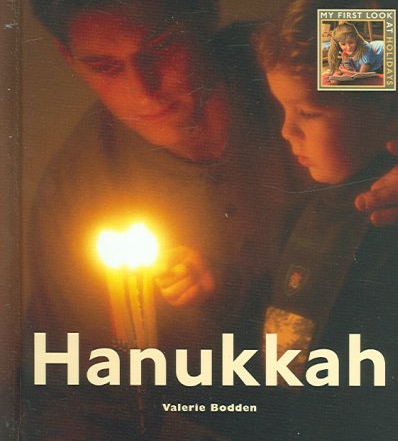 Includes directions for making a menorah, a glossary, and an index. Part of the ‘My First Look at Holidays’ series for 5 to 8-year-olds. Heiligman, Deborah. Celebrate Hanukkah with Light, Latkes, and Dreidels. Washington, D.C.: National Geographic, 2006. Concludes with 6 pages of additional information including a recipe for latkes and directions for playing dreidel. 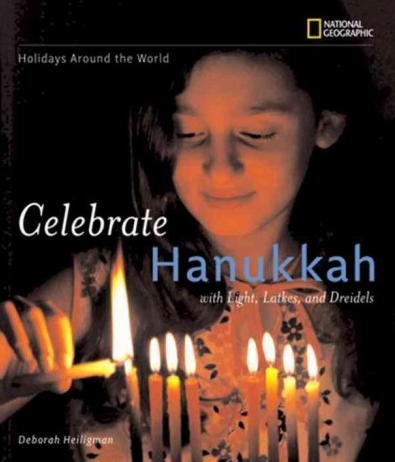 Part of the ‘Holidays Around the World’ series for 8 to 14-year-olds. Hesse, Karen. 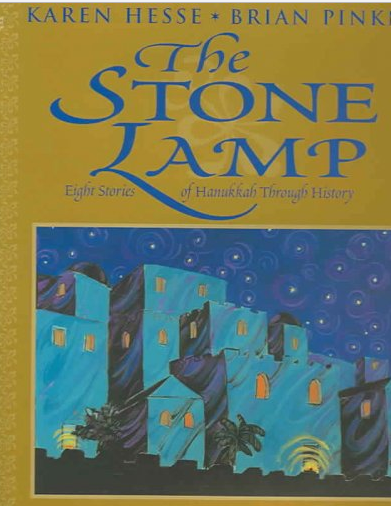 The Stone Lamp: Eight Stories of Hanukkah Through History. New York: Hyperion Books for Children, 2003. “A collection of eight poems, each taking place on a different night of Hanukkah and following the history of Jews from twelfth-century England to twentieth-century Israel.” – CIP. Historical information accompanies each poem by an award-winning writer. Full-page coloured illustrations by award-winning Brian Pinkney. Recommended for readers 11-years-old and up. Kimmel, Eric. Hershel and the Hanukkah Goblins. New York: Holiday House, 2014, c1985. 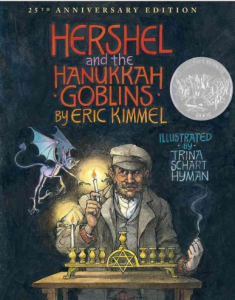 “Relates how Hershel outwits the goblins that haunt the old synagogue and prevent the village people from celebrating Hanukkah.” – CIP. 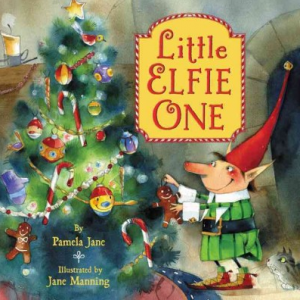 A Caldecott winner recommended for 6 to 11 year olds. Kimmel, Eric. 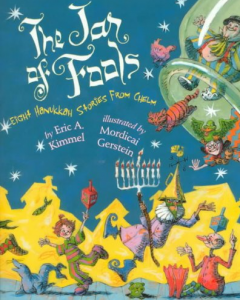 The Jar of Fools: Eight Hanukkah Stories from Chelm. New York: Holiday House, 2000. “Drawing on traditional Jewish folklore, these Hanukkah stories relate the antics of the people of Chelm, thought–perhaps incorrectly–to be a town of fools.” – CIP. Illustrated by Mordecai Gerstein. Lamstein, Sarah Marwil. 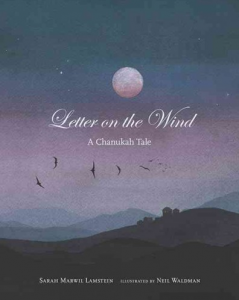 Letter on the End: A Chanukah Tale. Honesdale, Pa.: Boyds Mills Press, 2007. “When there is no oil for Chanukah, Hayim, the poorest man in the village, sends the Almighty a letter, asking for help.” – CIP. Pinkwater, Daniel. Beautiful Yetta’s Hanukkah Kitten. New York: Feiwel and Friends, 2014. 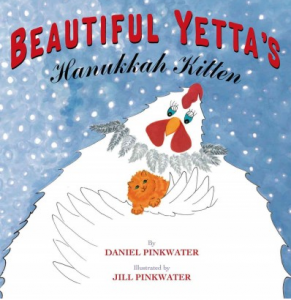 “Huddling with her parrot friends in a warm nest atop a street light as the winter begins, Yetta the Yiddish chicken discovers a stray kitten and must find it a safe home when her parrot friends are reluctant to adopt it.” – CIP. Exuberantly illustrated by Jill Pinkwater with a chicken that speaks Yiddish and parrots that speak Spanish. Pronunciation guides are provided. Highly recommended for three to thirteen year olds. 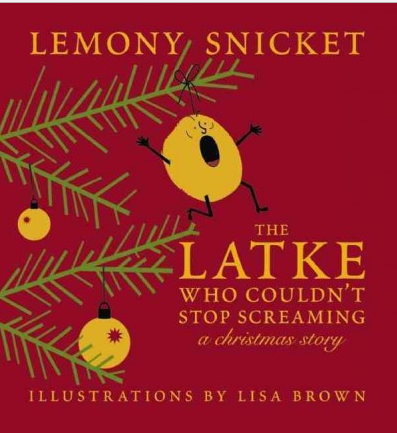 Snicket, Lemony. The Latke Who Couldn’t Stop Screaming: A Christmas Story. San Francisco: McSweeney’s Books, 2007. 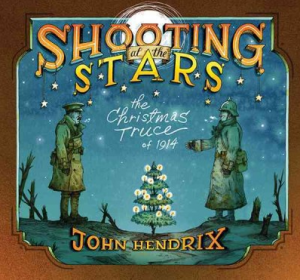 A humorous, informative, and inspiring story by a master storyteller. Highly recommended for readers 9-years-old and up. Sper, Emily. 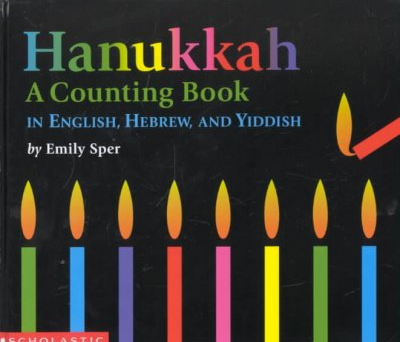 Hanukkah : a Counting Book in English, Hebrew, and Yiddish. New York: Scholastic, 2003, c2001. 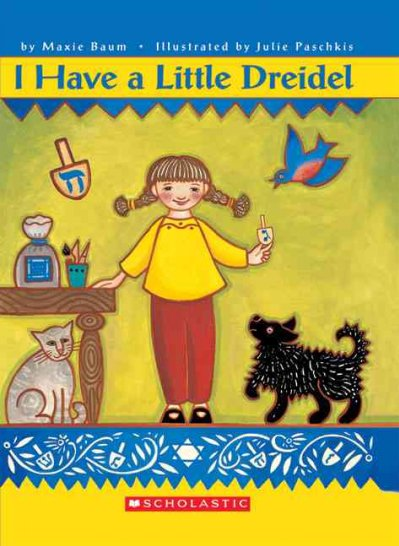 A brightly coloured picture book with cutouts of candles and pronunciation guides for the Hebrew and Yiddish. 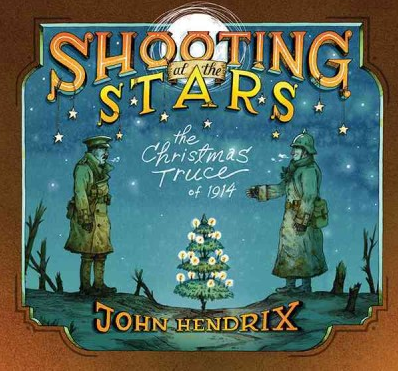 Includes a short history of the holiday. Highly recommended. Yolen, Jane and Mark Teague. 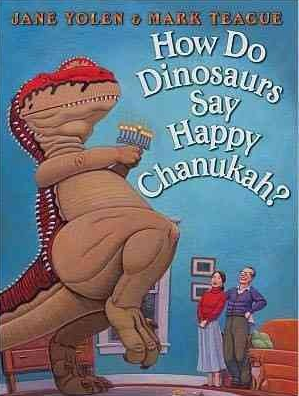 How Do Dinosaurs Say Happy Chanukah?. New York: Blue Sky Press, 2012. “Illustrations and rhyming text present some of the different ways a well-behaved dinosaur can celebrate the eight days and nights of Chanukah.” – CIP. Part of a series of ‘How Do Dinosaurs…’ picture books recommended for 2 to 6 year olds. dePaola, Tomie. The Birds of Bethlehem. New York: Nancy Paulsen Books, 2012. 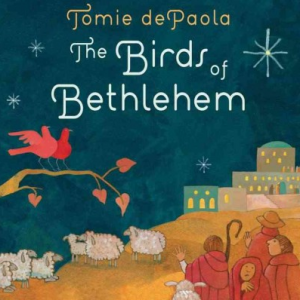 “On the morning of the first Christmas, the colorful birds of Bethlehem gather to talk about the exciting events they have witnessed, from the long line of people approaching the town to the stable where a newborn baby lies.” – CIP. Moore, Clement C. ‘Twas the Night Before Christmas. New York: Abrams Books for Young Readers, 2015. 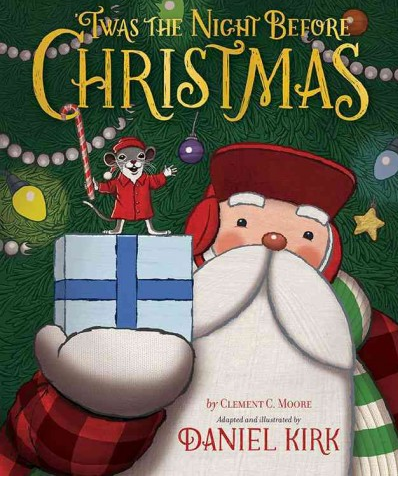 An exquisitely designed picture book adapted and illustrated by Daniel Kirk. The style and size of the font are perfectly suited to the colourful and cheerful illustrations. Highly recommended. 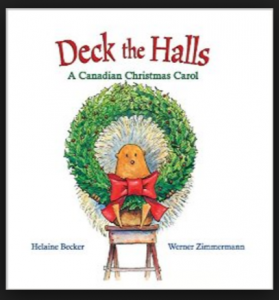 A rollicking Canadianized version with a simple piano transcription at the very end. The full page-illustrations by Werner Zimmerman are full of details sure to be enjoyed by readers four to ten yours old. Click HERE to watch this story read aloud.